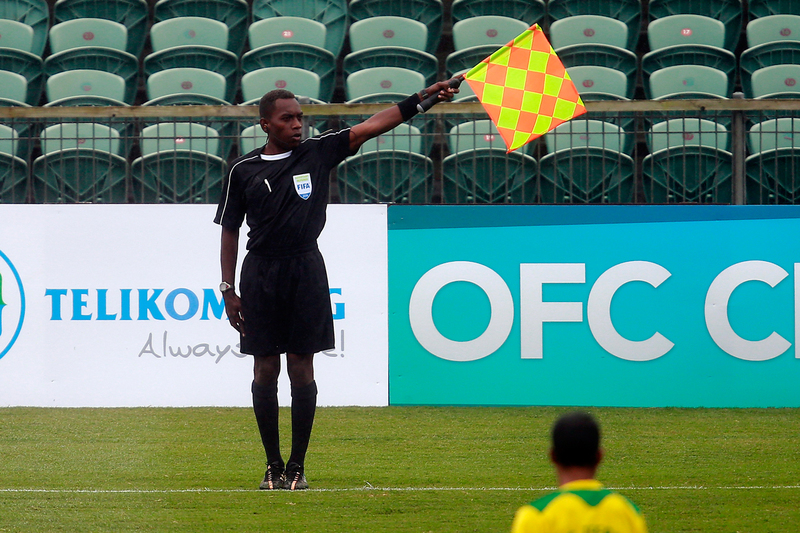 Tonga’s Folio Moeaki and Solomon Islands’ Bernard Mutukera are looking forward to making their FIFA competition debuts after being selected in Tahiti referee Kader Zitouni’s match official team for the FIFA U-17 World Cup India 2017 this October. After years of hard training and consistent performances in regional competitions, both assistant referees were honoured to finally receive their call-up to the world stage. “It is a pleasure for me to be selected as a match official and I’m really happy for this opportunity. I’m really looking forward to performing well, making my country proud and becoming a successor for the region,” Moeaki said. “I feel very humbled to be part of this OFC trio led by Kader. I am blessed and fortunate to be selected out of the best assistants in the region and I am very proud to be representing my country and OFC in this tournament,” Mutukera added. Although the duo are feeling confident in the capable hands of Zitouni – who will be making his sixth appearance at a FIFA competition – both referees are well-aware that their appointment in India will be a testing experience. “It is my first world cup appearance so the hardest part will be trying to perform to the standard or level expected at FIFA competitions. My priority now is passing my FIFA fitness test with my referee team and representing OFC the best that I can,” Mutukera said. “The biggest challenge for me has been learning and adapting to the new laws. I think that could be hard for me during the competition because it is my first time but I am confident to face any challenges that come my way,” Moeaki added. Reaching their first world cup feels like the beginning of their careers but Mutukera – who will be celebrating his 26th birthday on the opening day of the competition – and 35-year-old Moeaki have had to put in great effort over the years to finally make their break. “There is no secret to reaching this level of refereeing,” Mutukera said. “To reach this level I have had to perform consistently, work hard to study the rules and spend most of my time doing fitness training. My advice is to try hard no matter what. Even if you fail, keep trying until you reach the goal,” Moeaki added. Mutukera also acknowledged the importance of self-determination and setting goals. Following their experience in India both Moeaki and Mutukera hope to continue down the refereeing path and one day follow in the footsteps of Zitouni and other international referees from the region. “My goal for now is to sharpen my skills on areas I need to improve on and reach the knockout stage with Zitouni and Moeaki. After this World Cup I will work extra hard, maintain focus on improving my performances and look forward to future world cup appointments,” Mutukera said. “After the U-17 World Cup I hope to continue moving upwards in my referee career and I’m looking forward for any opportunity like this in the future,” Moeaki added. The FIFA U-17 World Cup India 2017 will run from 6-28 October and will feature the New Zealand and New Caledonia U-17 national teams as representatives of the Oceania region.